The Reverb AXS is a wireless dropper post ready to rescue you from installation and maintenance woes. But at $800, some may have to wait for the technology to trickle down. 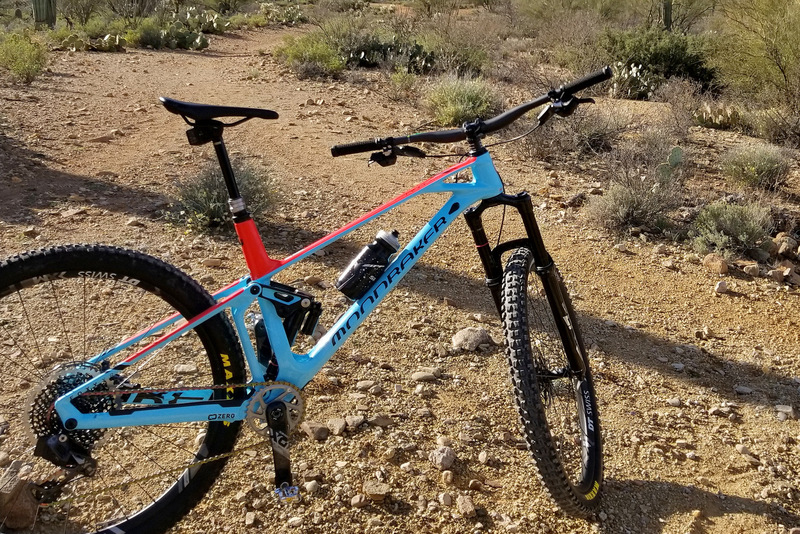 The post First Look: Sram Reverb AXS wireless dropper post appeared first on Mountain Bike Review. Dropper posts your thing? SRAM’s Rock Shox has a Reverb AXS dropper post, allowing you to slide on down without cables or levers. Installation is the name of the game with this post as the routing of a hydraulic line inside the frame is no longer necessary. And as we’ve experienced with the similar Magura Vyron wireless dropper post, this enhances portability between bikes too. It installs in seconds but it’s also quick to consume your $800 in funds. While the travel options and diameters might be just right, the $800 entrance fee is a bit hard to swallow. It simply is beyond category with the popularity of the $300 Fox Transfer and the $200 OneUp Components dropper. If you’re used to a cable pull post, the electronic actuation will impress you with its ability to micro-adjust. There isn’t a 27.2mm diameter, nor is there a short-travel option, but if you’ve got enough post showing, the Reverb AXS could help you bomb some dirt descents. Pricing for all diameters and travel is $800. 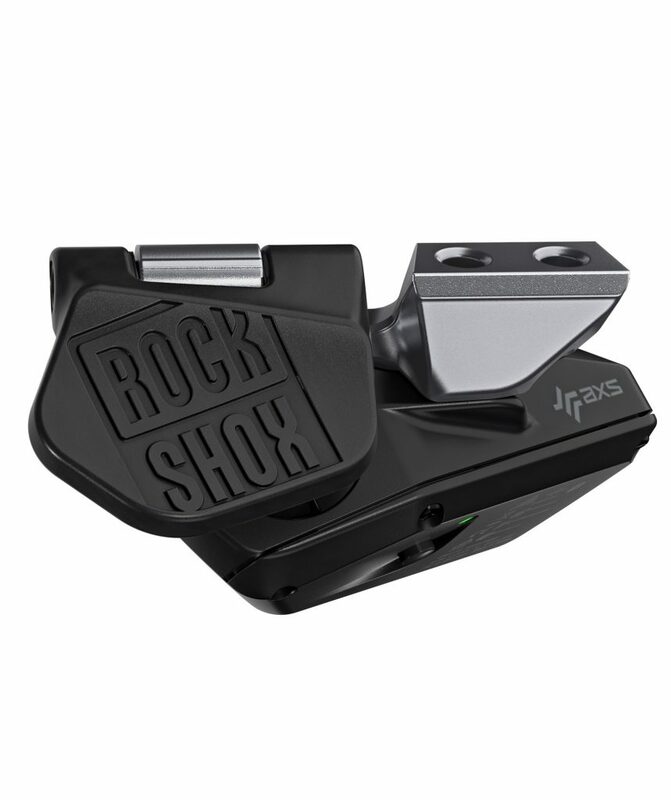 The dropper trigger has Rockshox embossed logos for enhanced grip. This one is a bit of a science project. 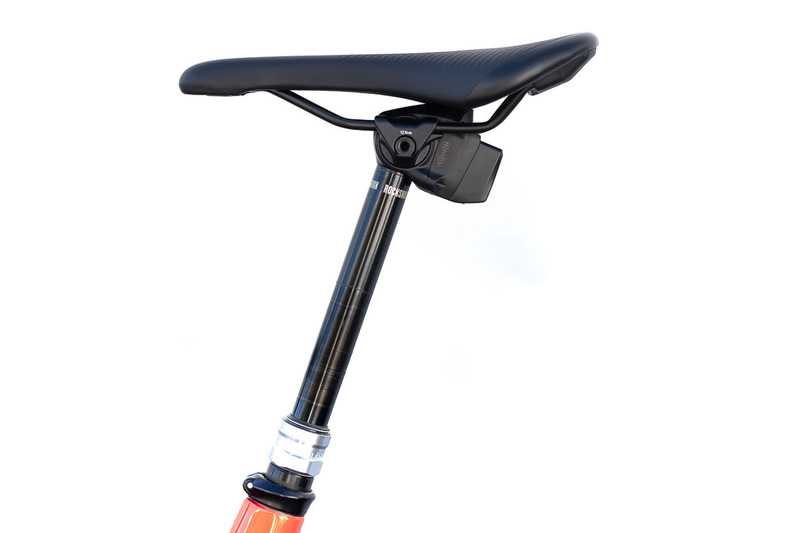 It proves the concept that a dropper post can be executed without wires. But there wasn’t much consideration to the market competition and what the enthusiast market is willing to pay for this product. But the Reverb AXS brings ease of installation into this important field. And if it can be reliable there may be a happy, select market for this one. And the hope is it will trickle down to a more palatable price point after a few years.